The post celebrates a few through the mail successes I've had as of late. This card is a 2008 Lamicard released in Germany I believe. I mailed this card to Delaney's new business Pop Roc in New York. 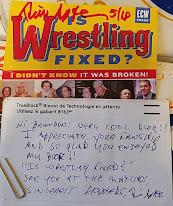 He also sent me a nice note back answering my questions and thanking me as I sent him a card to keep. 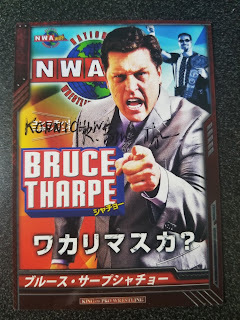 The card on the left is from 1996 and was released by BBM in Japan when The Patriot was with All Japan Pro Wrestling. The card on the right is a 1995 Cardz WCW Main Event card of Stars and Stripes the Patriot and Marcus Alexander Bagwell team. The Patriot signed this card on the back as Bagwell has taken up all of the front when he signed it. 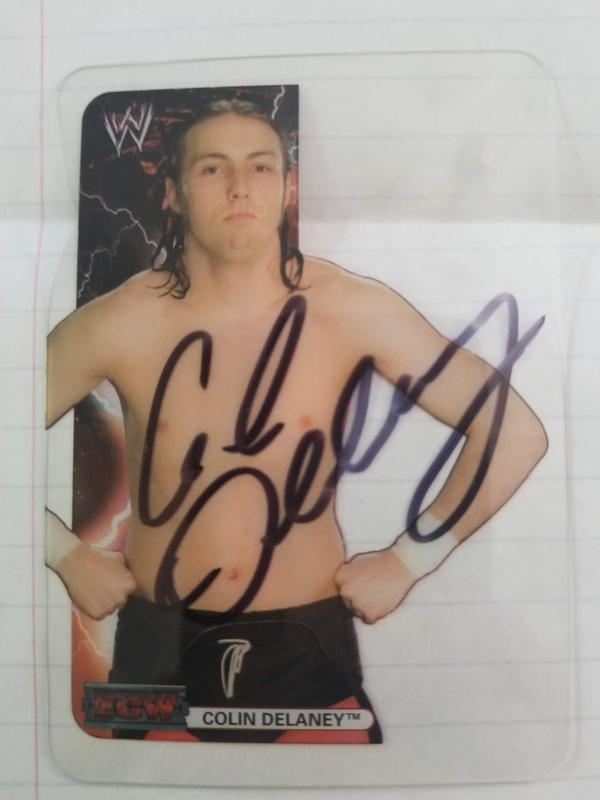 This card is a 2015 King of Pro Wrestling game card released in Japan. I believe this is card is actually a Rob Conway card as Tharpe was his manager in New Japan, as well as being the NWA Owner at that time. 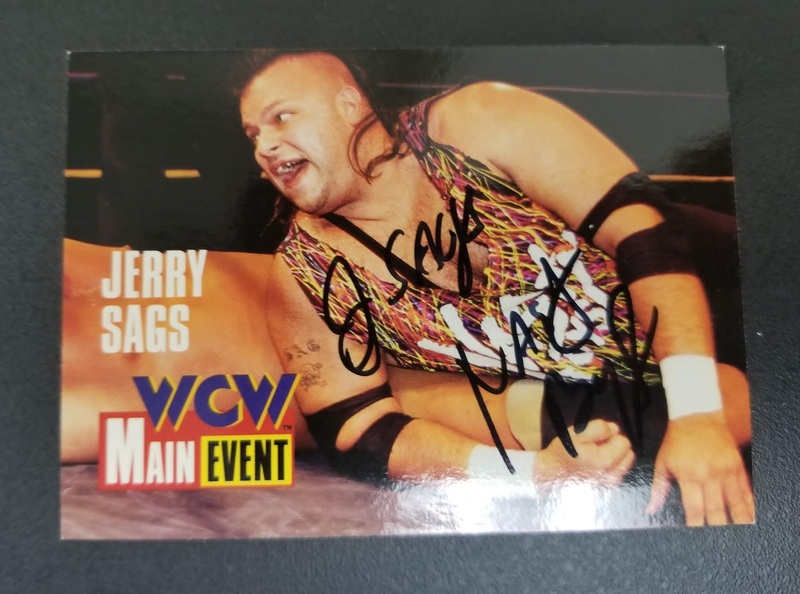 These two cards I mailed to Sags and he signed them Nasty Boy Jerry Sags leaving little to no room for Brian Knobs to sign them later. 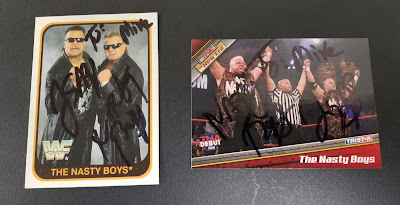 The card on the left was released in 1991 by Merlin for the WWF and the card on the right was released in 2010 by TriStar for TNA now IMPACT wrestling during the failed Hulk Hogan experiment. The card below was released in 1995 Cardz WCW Main Event card and this one I got signed back in 2012 at Legends of the Ring in Monroe, New Jersey. In the future I need to make sure that I ask them to leave room on the card for their partner to sign it.